Facing a Short Sale - REALTY WORLD Harbert Company, Inc. If you have any questions or would like more information about facing a short sale please Contact Us. Visit our Buyers Page or Sellers Page to receive more information about home and property buying or selling. While it is a stressful decision for many families, a short sale may be the best solution, short of foreclosure, for homeowners who owe more on their properties than they are worth. Technically, a homeowner is ‘short’ when the outstanding loan is more than the current market value of the property. A short sale occurs when the homeowner finds a wiling buyer and then negotiates with the lender to accept less than the full balance of the loan at closing (typically to avoid foreclosure). Once the buyer closes on the property, the property is considered 'sold short' of the total value of the loan. The procedure requires stamina but it can yield favourable results for all. Organization and full disclosure will also help you manage through the process, Contact Us and we will help you to navigate through this. In the past it was rare for lenders to accept short sale proposals. With overwhelming market shifts, and changes in corporate policy, lenders have become much more willing to work with homeowners in distress, and since a short sale generally costs the lender less than a foreclosure, it can also be a way for the lender to reduce their losses. Financial Hardship - A situation is causing the borrower to have trouble affording their mortgage. Monthly Income Shortfall - Basically the borrower has more expenses than income, which will, or already is, preventing them from affording their mortgage. Insolvency - The borrower does not have significant liquid assets to allow them to pay down their delinquent mortgage. This is a complex transaction, and if short sale is an option you are considering, an experienced REALTOR® can certainly help you make the best of this situation. When interviewing potential agents, be sure to inquire about their experience with short sales and find out if they hold any designations for buying and selling distressed properties. It is also recommended that you obtain legal advice from an experienced real estate lawyer and discuss short sale tax ramifications with your accountant. If you do not know any of these professionals, your REALTOR® can recommend experts in these fields. Call the Lender - It may take several phone calls for you to reach the person responsible for handling short sales. Be sure to request the supervisor or manager who can make a decision on your account. 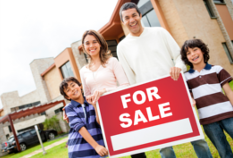 They will most likely guide you to their website for a short sale application. Hardship Letter - This is a statement of facts, which describes how your financial hardship came about. It makes a plea to the lender to accept the terms of a short sale on your account. Things that might qualify as a hardship include: job loss or reduction in pay, disability, and personal loss. Lenders are not typically empathetic to situations involving dishonesty or criminal behavior. Submit Letter of Authorization - Lenders will not disclose any of your personal information without written authorization to do so. If you are working with a REALTOR®, lawyer, and/or accountant, you will receive better cooperation by submitting a written consent to the lender, granting them permission to discuss your loan with those interested parties. Copies of Bank Statements - Explain any unaccountable deposits, large cash withdrawals or unusual checks. Comparative Market Analysis - A comparative market analysis (CMA) will help the lender evaluate why you cannot sell your property for what you owe on your outstanding loan. Your REALTOR® can prepare a CMA for you, which will show prices of similar local homes that have typically sold within the last six months. Listing Agreement & Purchase Agreement - If you accept an offer to buy from a prospective purchaser, the lender will require a copy of the offer, along with a copy of your listing agreement. It is important to note that all offers are ‘subject to lender approval’. The lender may renegotiate commissions and can refuse to pay for Home Protection Plans and/or termite inspections. Since a majority of short sales are “as is” transactions, the lender will also likely refuse contingencies for repair and requested credits. It is important to understand that a short sale can damage your credit score, often appearing as a "settlement" which indicates that you paid less than you owed. As part of the short sale negotiation, you should request that the lender not report adverse credit activity to the credit agencies. Even though the lender is under no obligation to accommodate this request, they may be willing to work with you to minimize your financial damage. You could also be presented with a tax bill for the unpaid debt, which is generally considered as debt forgiveness, or income to you. A team of professionals may be able to avoid or, at the least, minimize these consequences. Please consult and seek professional help with an experienced REALTOR®, attorney and/or accountants. As stated above if you have any questions or would like more information about facing a short sale please Contact Us today.